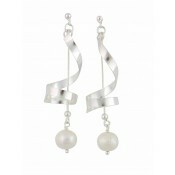 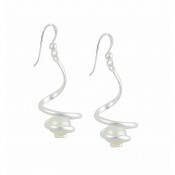 These drop look earrings are a modern take on a traditional jewellery look. 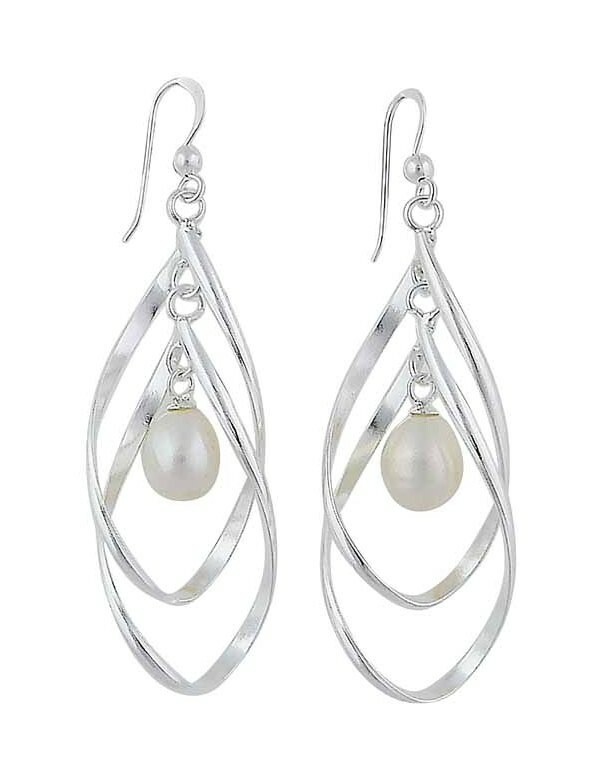 Made from highest quality sterling silver, the dual teardrops harmonise with a subtle twist, with a freshwater pearl suspended within. 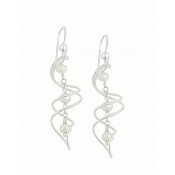 The result is a vision of simple yet modern design that results in earring perfection.